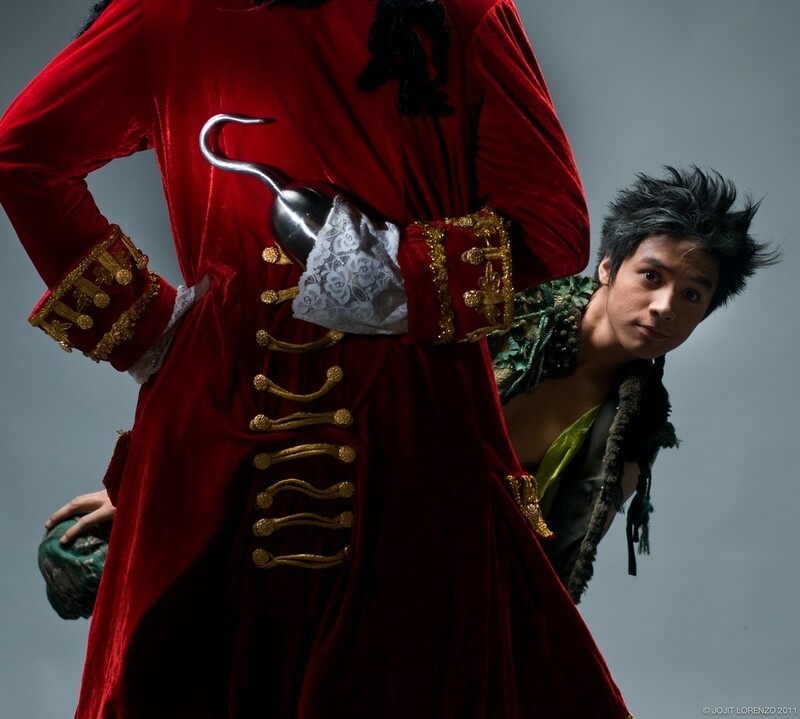 I'm so happy to have the honor of witnessing the unveiling of Repertory Philippines next project this year: Peter Pan. Here are some promotional materials released and some photos taken during the grand launch and press conference held last week for the press and online media. 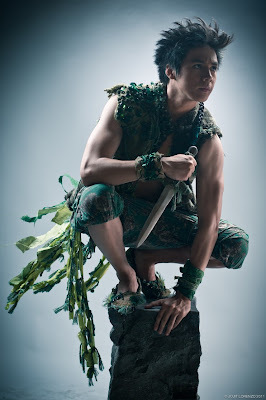 and Michael (Juan Miguel) performing "Never Land"
Helmed as one of Repertory's biggest production yet that requires big production numbers and aerial stunts, surely the show is in need of bigger budget. That is why Repertory Philippines decided to co-produce with STAGES (High School Musical/West Side Story) to make this magical musical possible. Nacho Tambunting (John) and Cara Barredo (Wendy). 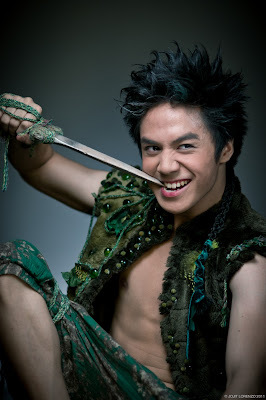 Of course the cast is also as big as the show itself for it will be top billed by Sam Concepcion as Peter Pan, the boy who refused to grow up. Joining him are Gawad Buhay 2011 Awardee Cara Barredo (Little Women) and Tippy Dos Santos as Wendy Darling, Nacho Tambunting as John Darling, Juan Miguel Santos as Michael Darling, Robie Zialcita as Smee, Kyla Rivera as Tiger Lily, Joy Virata as Old Wendy, Pinky Marquez as Mrs. Darling and last but definitely not the least, Director and performer extraordinaire Michael Williams as the formidable Captain Hook. 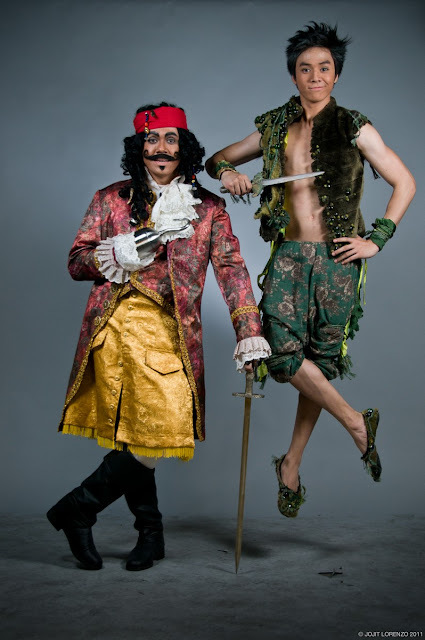 To be directed by Jaime del Mundo (Shakespeare in Hollywood) and Repertory Philippines Associate Artistic Director Menchu Lauchengco-Yulo (Little Women), Peter pan will soon enchant everyone of us on September 29, 2011 at the Meralco Theater. For inquiries and other information, call Repertory Philippines at 571-6926 and 571-4941 or email info@repertory.ph. Tickets are also available at Ticketworld at 891-9999.